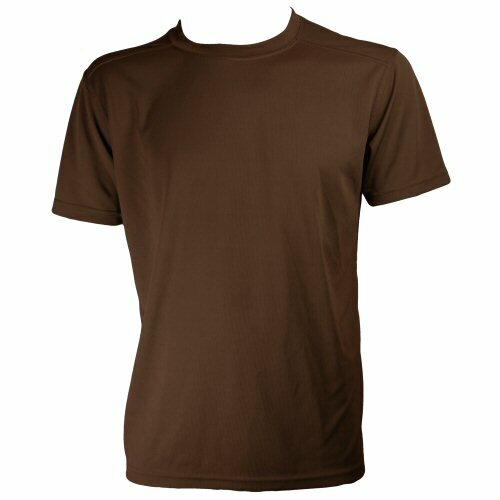 Genuine, British Army issue lightweight, anti-static and moisture wicking combat tshirt, featuring seamless (flattened) seam shoulders, neck and sides. Made of stretch synthetic fabric with moisture wicking fabric, woven with Coolmax moisture removal pockets. Dark brown, matching with the dark brown of woodland DPM, or as used with early issue MTP. Sizes are Medium (108 - 42in chest) or Large (112 - 44in chest). 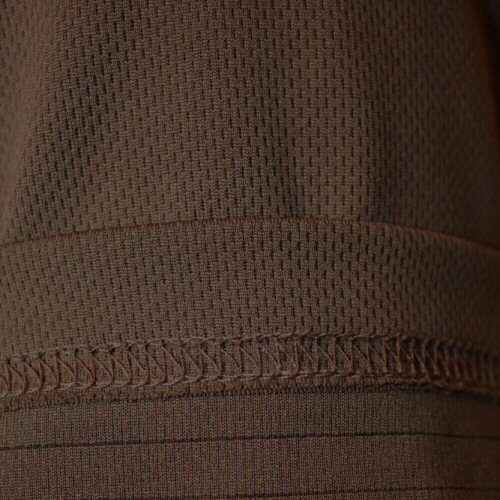 A close view of the fabric, with the mesh appearance front, felled overlock hem and lined underside.